My elder son L had his 6th birthday party back in September while my younger son C enjoyed his 4th last month. Children’s birthday parties are always fun to be involved in and fun to watch. Unlike adult gatherings, there is no pretension in kids’ actions, nor tension in their conversations. It is just unadulterated pleasure of going absolutely crazy over simple little things like lolly treasure hunt or bashing the proverbial out of pinata – and all without any alcoholic assistance! This will take longer than a marathon. There is, however, one thing I dread about my boys’ birthday parties. It is the gifts they get. Teddy bears and Ice Age DVDs I don’t mind. But whenever my boys tear open the wraps to unveil a 500-piece Optimus Prime Transformer lego set or a 200-piece science laboratory extravaganza, my heart skips a beat while my chin drops a bit. The boxes from which these toys materialise from may say they are suitable for kids aged 4 to 8. However, they are only suitable after parents aged 30 to 40 have spent countless hours on the toys analysing and assembling. I am always surprised by the lack of empathy on the part of parents who have given their kids the blessing to giving mine such hasslesome gifts. Sure the confetti cannon which spews out gazillion little shreds of paper pieces may be good fun for L and C. But there is nothing fun about cleaning up the aftermath each time. And when some kid gives mine a colour painting set with 50 shades of grey and 150 shades of all other palette, it does make me wonder whether his parents have some vendetta against me. Surely they must know that most of the paint will end up, not on any paper, but on our sofas and tables, not to mention on the faces and clothes of my two boys. The festive season is just around the corner. I am already nervous about what presents will await L and C under the Christmas tree from their families, relatives and many friends. One thing is certain. My boys will definitely not get from me a present which comes with a centimetre-thick instruction booklet, nor one which requires me to find a hardware store on Christmas Day because it needs a special tool set to construct and its required AAA batteries are sold separately. Perhaps I will get them little pairs of jogging shoes. Perhaps then they will go for a run with their dad. Perhaps they will do that instead of opening all their Christmas presents and revealing the monumental task ahead of me assembling the toys, cursing at the manuals and pondering over the remaining odd pieces. On second thoughts, no, forgetaboutit! Not even Christmas can bring such a miracle. This entry was posted in Parenting and tagged Birthday, Child, Children, Christmas, Gift, Parties on November 1, 2012 by The Jogging Dad. I agree! Every time a gift arrives that has multiple small pieces, a little part of me dies inside! Yes, and a big part of me just wants to go for a long, long run! Thanks for visiting. Skills honed from years of treasure hunting means I can’t hide anything from my boys for too long! 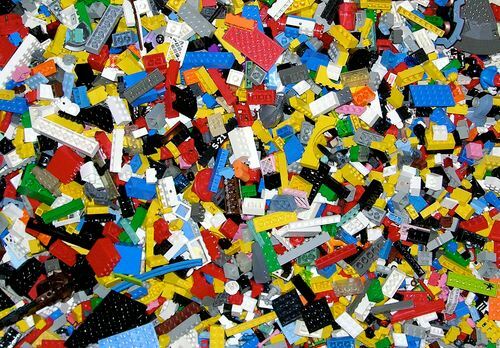 I’m not a dad, but I’m an elder brother.. my brother loves playing with Lego blocks.. and usually the cleaning job is dumped on me, cause my parents are sick of cleaning the mess! They get so annoyed when they accidentally step on a small block and it hurts them!